The availability of taking online courses has become a phenomenon in the education sector. Thanks to the Internet, it has in fact become so popular that there has been a significant rise of educational institutions dedicated specifically to online teaching. Existing colleges and universities have adopted this method of online learning by offering their students the option of taking some of their courses online rather than in a classroom. With so many non-traditional students pursuing a higher degree of learning, the option of attaining credits online has become far more attractive than rushing through traffic to attend a class at a specific time as to not miss any important information. With online classes, all of the information lies at the tip of a student’s fingertips. This may seem like it’s too good to be true. So why aren’t all students choosing to earn their degree credits online? Most students choose to earn their credits the traditional way because they may not have adjusted to the type of liberty and flexibility an online class has to offer. For some, this is exactly what they need to fit into their already hectic lifestyle. Yet, for others, they may need more discipline. 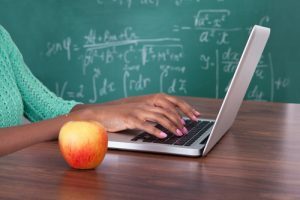 That doesn’t mean those who require a more personal type of guidance within the classroom cannot take advantage of the convenience that online teaching offers. They simply need a few suggestions on how they can better navigate an online course. First, it is helpful to take a quick overview of why online classes have become so preferable. Flexibility – Some students are working full-time jobs, paired with the responsibilities of paying bills, and perhaps, raising a family, so they already have a full calendar. 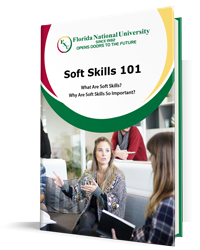 An online class alleviates the stress of trying to negotiate a work schedule that will complement the classroom dates and times for a semester. It also absolves the hassle of trying to find a babysitter for a few hours. An online class basically allows the student to work around their existing schedule, rather than the student needing to work around their academic schedule. Tuition Costs – When attending a college or university, enrolling in any classroom will cost. There are the basic tuition costs, but what most forget to take into account are the additional costs: books, technology and recreational fees, parking, and room and board to name a few, depending on the institution. No Classroom – For those who are timid in a traditional classroom setting, taking an online class is the perfect solution. Students have the security of communicating with their professor without feeling embarrassed about whether or not their question was valid. For some, the idea of taking a college course using only a computer seems fun and easy. Nothing can be further from the truth! Taking an online course requires as much, if not more, discipline and commitment as if he or she were actually in the classroom. It is important to be comfortable with a computer. Usually, most college courses have a prerequisite before allowing a student to enroll in a course. Still, there are certain software applications that students should familiarize themselves with when planning to take an online class. Failing to do so will lead to frustration and stress that can ultimately affect one’s studying and ultimately, their GPA. Just because an online course allows a student the freedom and flexibility to study at his or her leisure doesn’t mean that a schedule of some sort shouldn’t be implemented. Online classes require structure. The everyday demands of life can easily take priority when taking online classes from home. Because of this, it is wise to set aside a specific day and time, particularly a couple of hours in addition to the online classroom time, at least three days a week. The benefit to this method of organization is that the student has the freedom and flexibility to customize his or her classroom any time of the day—even at midnight if it is fitting! Like any college course, it is recommended to familiarize oneself with the course syllabus. Again, the traditional classroom content will not differ from an online course’s content. The professor will lecture answering as many questions as he or she can in the allotted time. The difference with an online course is that the deadlines are a bit more relaxed. Some courses will give a student until the end of the semester to complete their assignments whereas a traditional classroom setting will most definitely incorporate stricter assignment deadlines. So with a course load of online assignments, it is most advantageous to organize these according to one’s own availability. The closest one might get to their online professor is communicating with them online. This means that there will be much writing involved. It is important to take note that although the way in which one communicates with their online professor and classmates are similar to social media, it isn’t! Professors expect all of their students, whether they are in class or online, to communicate in a professional manner, writing complete sentences, void from abbreviations and emoticons. Understand, Organize, Familiarize, and Communicate! Florida National University (FNU) is dedicated to the betterment of our students, academically and socially. Our academic programs offer a quality education to a student body of diverse cultures. If you are looking for a university that gives you the flexibility to take online courses and help you become the best professionally organized and disciplined scholar you can be, apply to FNU today and contact one of our admissions advisors now!